South Africa has 11 official languages. The five most common languages feature in the national anthem (having a stanza each), likely making it one of the hardest anthems to learn. However, it was a welcome change to hear it at the Olympics instead of The Star Spangled Banner or March of the Volunteers, the anthems of the USA and China respectively. If we steer clear of some of the cultural issues that have plagued South Africa over the years and concentrate solely on language we find ourselves in a true linguistic melting pot. In that respect, the country earns itself the title of the Rainbow Nation, which was coined by none other than The Lingua File's favourite South African Archbishop, Desmond Tutu. 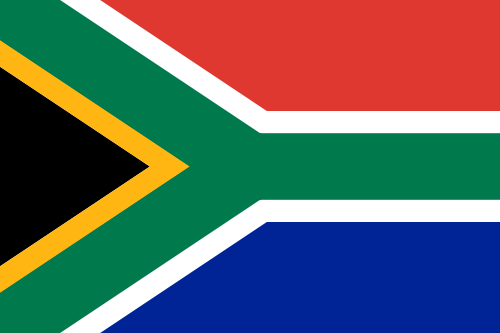 South Africa's flag, adopted in 1994, is apparently symbolic of something. The official languages of South Africa are Afrikaans, English, Ndebele, Northern Sotho, Sotho, Swazi, Tswana, Tsonga, Venda, Xhosa and Zulu. Afrikaans and English are Germanic languages, while the other nine are Bantu languages. The "Rainbow Nation" in glorious linguistic technicolour. 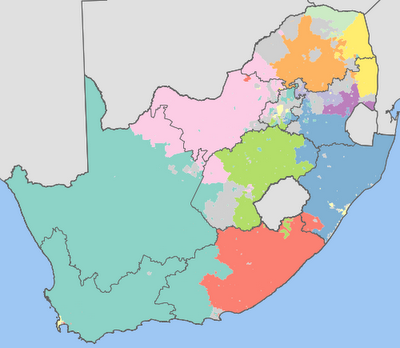 The languages of South Africa have fairly distinct geographic areas in which they are used. From a European point of view it's not uncommon to expect this amount of linguistic diversity across such distances, but you have to consider that this is one country.